CHECHESMITHNATION : Tattoos the ink fashion. Tattoos!!! Tattoos!! always so controversial around the globe. But are tattoos fashionable? I quite agree that its a work of art,but putting it on is like someone defacing a beautiful face by scratching it mercilessly. 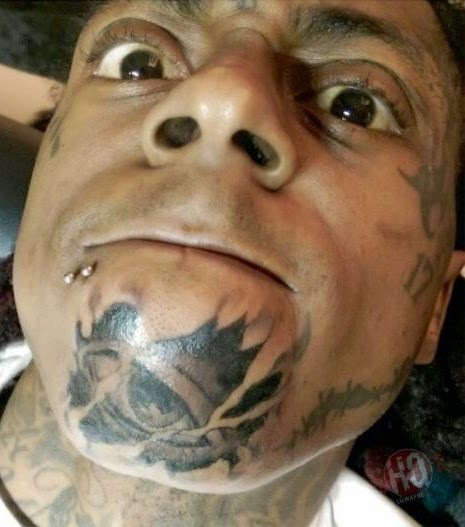 So Lil Wayne just inked up his face once again,haa not his first time nah,why bother?' He is a full tattoo customer. To me, tattoos are just pure foolishness. I think it's against the Christian doctrine.